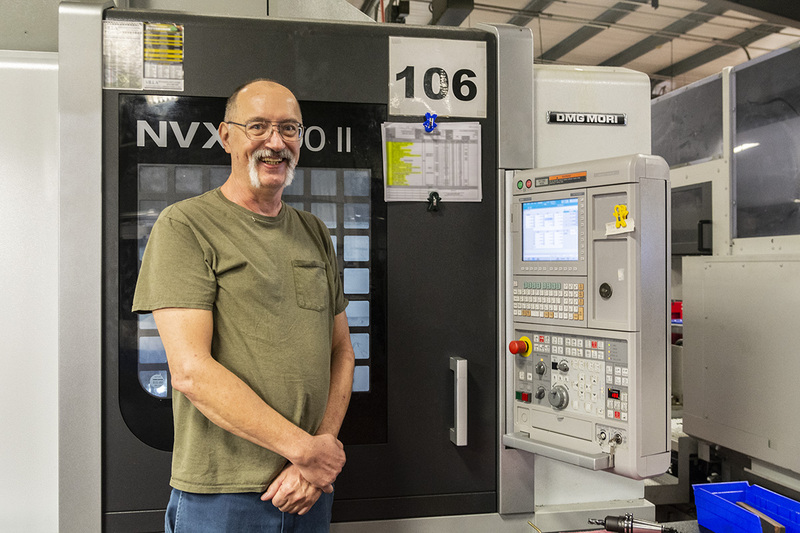 Employee Spotlight – Blane Shade | Acutec Precision Aerospace, Inc.
For the amount of change one can view on a day-to-day business, it becomes monumental when you look at it over the course of thirty years. As we celebrate our 30th Anniversary, we recognize our employees who have helped us to improve our company over that course of time. Blane is one of these employees, and he knows this change because he has been with us since Day 1. Blane applied to work at Acutec before we had even finished purchasing our first round of machines. At that time, the Quality Control room was still under construction. “At that time, we would do engineering of the part right at our work bench,” he reflects. So what are the two things that has encouraged him to continue working at Acutec for so long? “Steady work and air conditioning,” he replies. Blane works in the Vertical Milling Department at the Saegertown facility. He enjoys the atmosphere because it is both clean and comfortable. And while he has no plans to retire at this point, he is encouraged by the emerging generation of younger machinists. Blane is one of two employees who have been employed at Acutec since 1988. We appreciate their loyalty to making quality aerospace components.